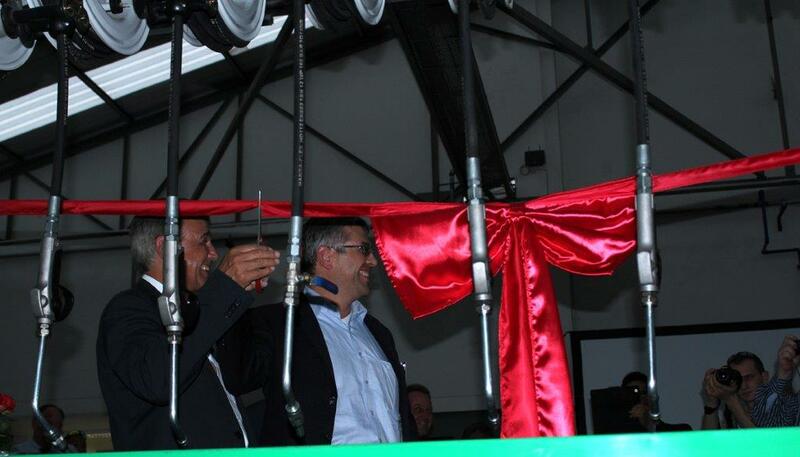 With a history dating back to 1973, Alpine Motors has earned an enviable reputation in the South African automotive retail industry, with a business ethos centred on superior customer service that has made the Volkswagen (VW)/Audi franchise the top selling VW car vehicle dealership in the country for the last five years. 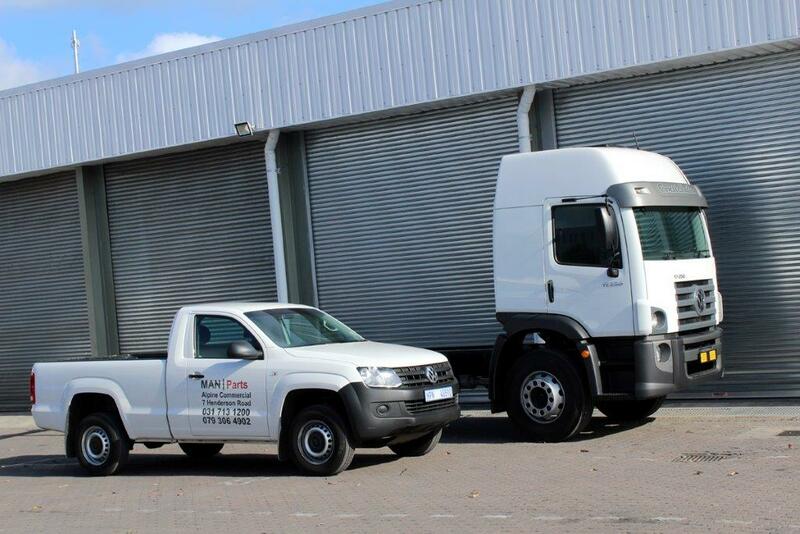 Based in Pinetown and owned by eight partners, including Garth La Reservee who helped found the company with his brothers Creston and Kevin, Alpine Motors has been an MAN and VW Trucks and Buses service dealership since 2010, operating out of its existing commercial vehicle workshops. 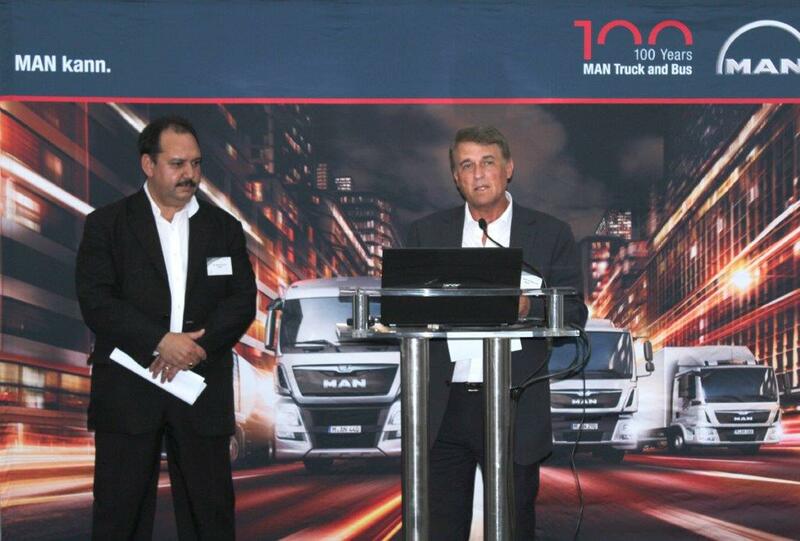 In 2013, the company invested over R40million in building a new dedicated MAN/VW heavyduty commercial vehicle sales and servicing facility in New Germany, Kwa Zulu-Natal. 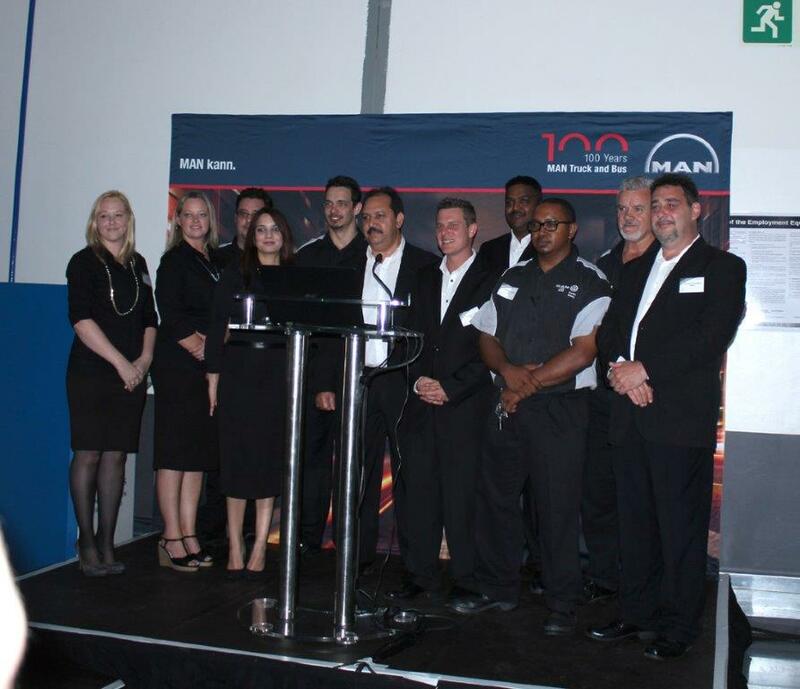 Situated alongside South Africa’s busiest logistics corridor, the N3 highway, and the strategic connection to the N2 via the M19, Alpine Truck & Bus is the latest addition to MAN’s growing dealer network in Southern Africa and is equipped with state-of-the-art vehicle servicing facilities and equipment. 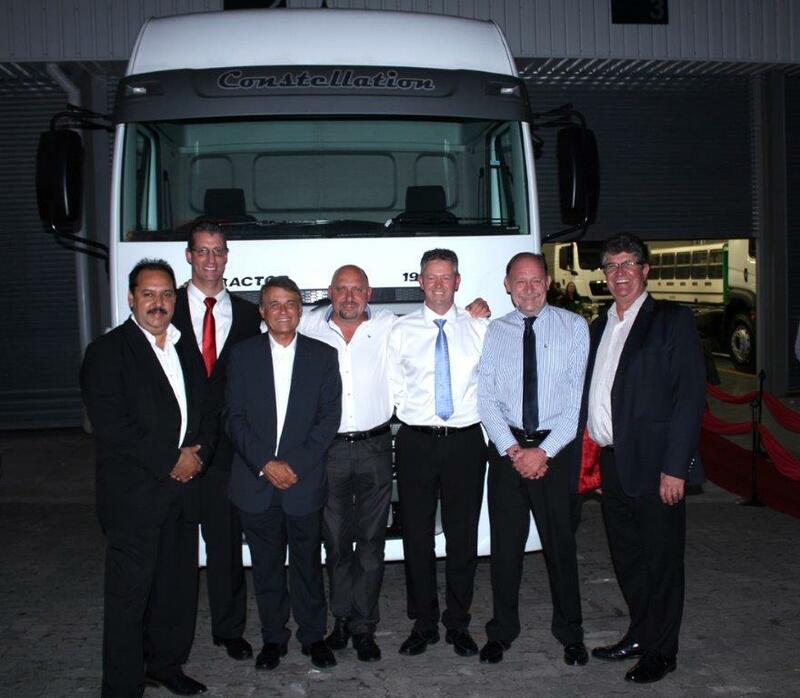 Officially opened on 29 October 2015, the new dealership welcomed MAN executive board members from Germany, Markus Geyer (Senior VP: Middle East,India & Africa) and Bjorn Loose (Global Head of Marketing), and South Africa, including Geoff du Plessis, Managing Director and Charman of MAN Truck & Bus SA, at a gala evening held inside the pristine workshop. Anchoring the event presentations was Alpine Partner and Director, Bruce Dickson: “Alpine Motors Group has spared no expense in building what is a world-class heavy-Commercial vehicle servicing facility and this new dealership, Alpine Truck & Bus, is geared to meet the demands of a growing heavy commercial vehicle market in the region,” said Dickson. 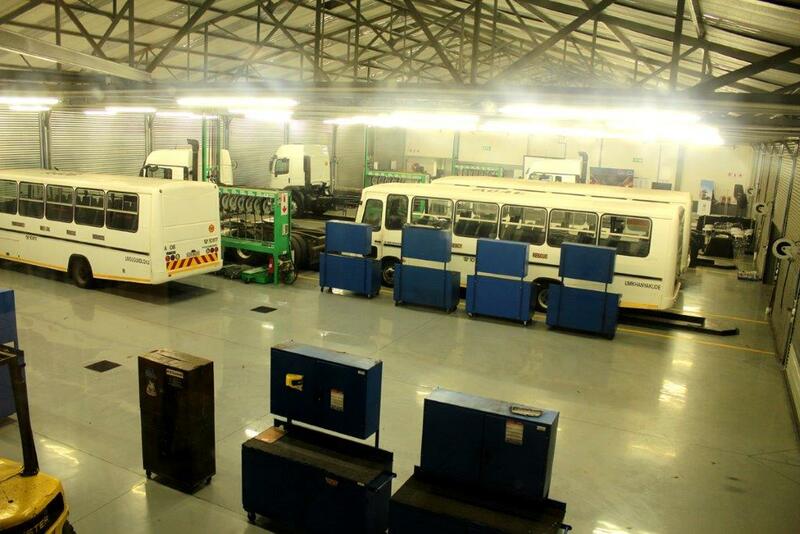 The facility boasts nine service bays, a wash bay with a pit, a full parts department, state-of-the-art equipment including a hi-tech brake-roller tester and a computerised oil dispensing system. 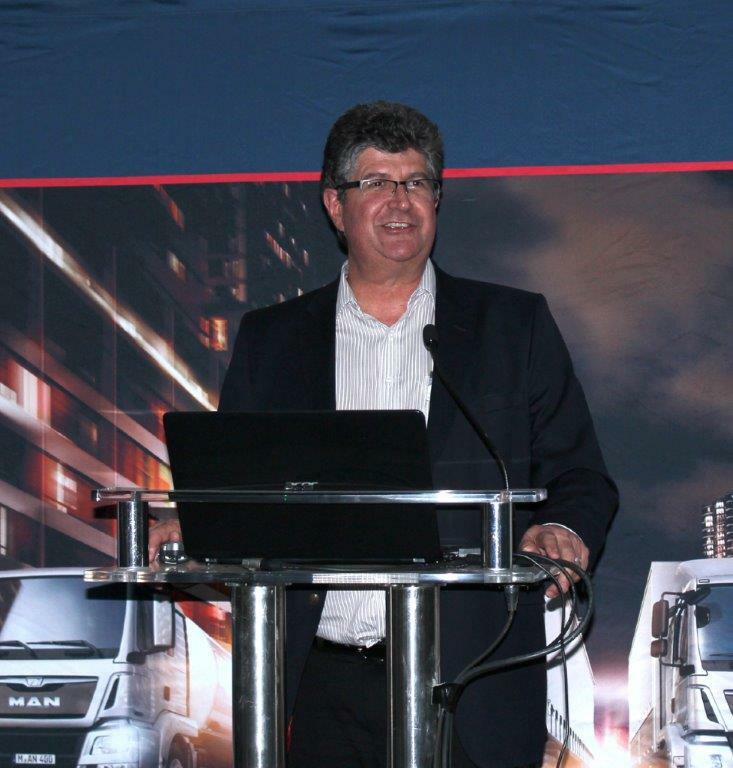 Alpine has been in the vanguard of VW truck and bus sales in South Africa, adopting creative measures to make VW derivatives from Brazil more suita- ble for local conditions, with recent pilot 4x2 to 6x2 truck-tractor/Rigid conversions being a prime example. “We are also looking forward to introducing the latest VW models from Brazil when our local emissions standards demand Euro 5 compliance. 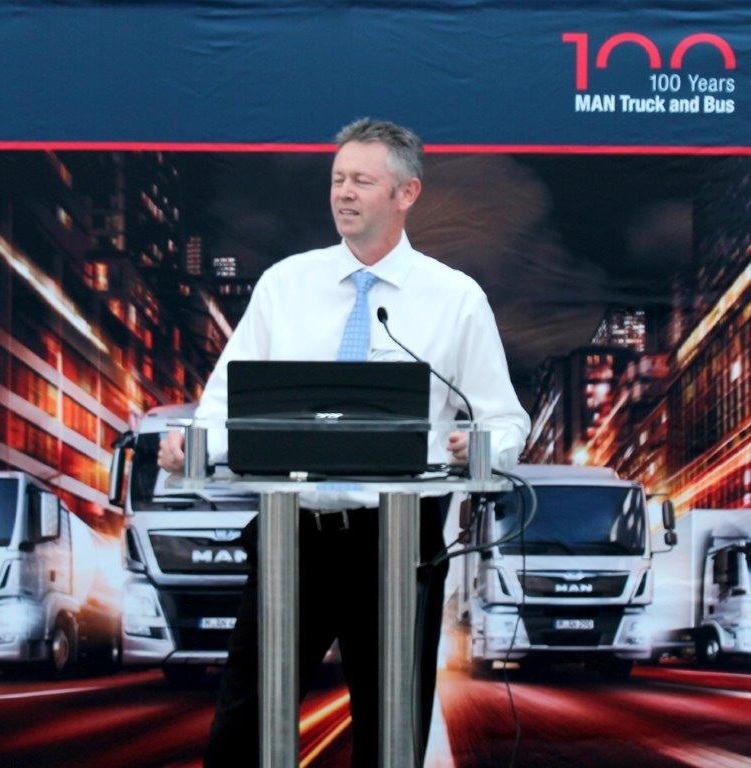 These new derivatives are setting fuel efficiency benchmarks in tough operating conditions in Latin America and will be ideal for several African truck and bus applications in the near future,” Dickson said. 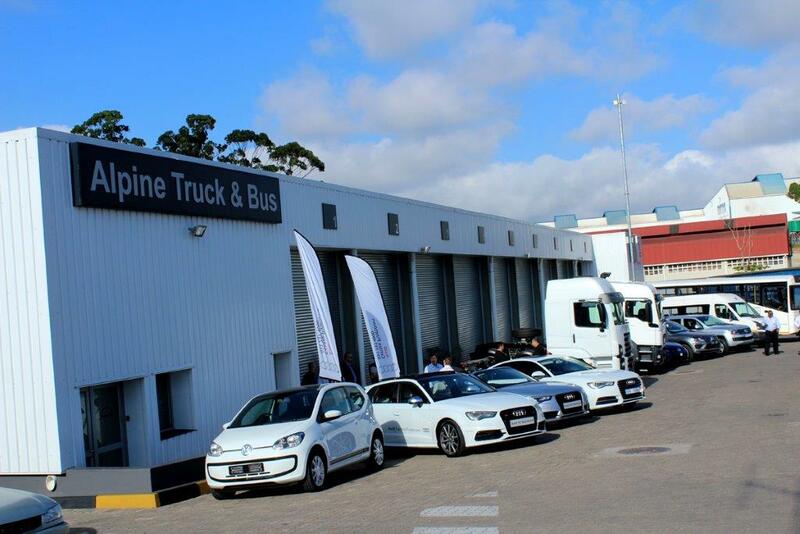 Dickson added that Alpine Truck & Bus will in future focus on onsite workshops at its customer depots, of which Timber Logistics Services, a leading forestry fleet and Smart Truck operation, is the first. This service will be offered to both big and small fleets, as will the dealership’s mobile workshops and 24/7 roadside assist. “Testimony to the overall quality of this new facility is the extent to which MAN has been involved in its road to completion. 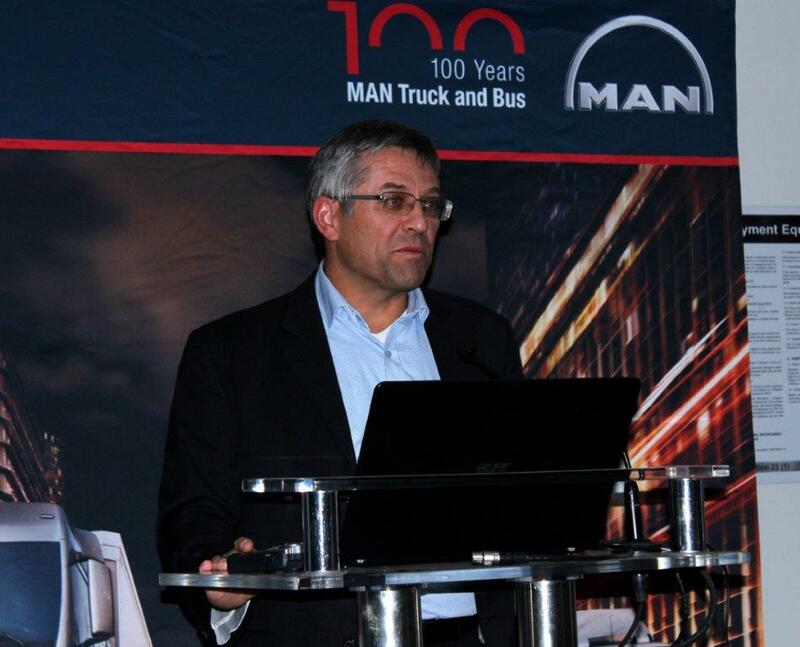 Apart from full MAN accreditation on our equipment and skills capacity, we implemented MAN SERVICE CORE PROCESSES, a proprietary quality assurance programme specifically for the MAN and VW truck and bus servicing, a year ago. 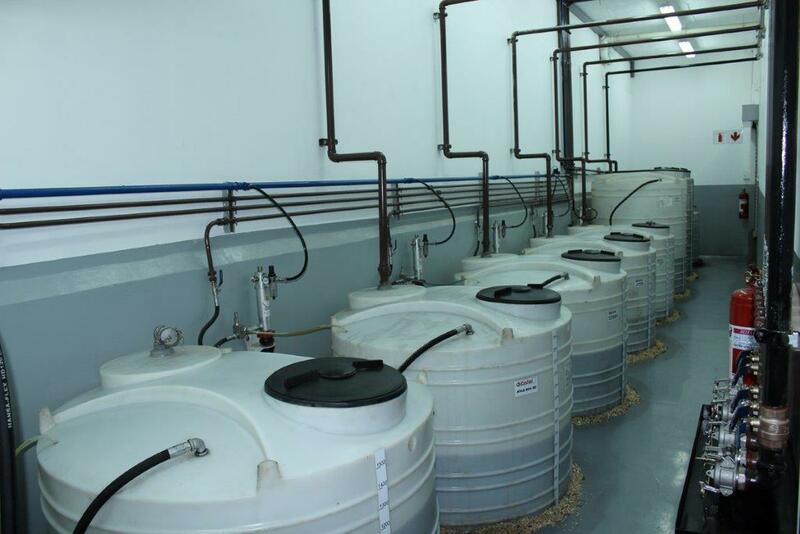 MAN South Africa head office sent out a team to audit our processes and they were tremendously impressed. In fact, they stated quite emphatically that Alpine runs these processes better than any workshop they’ve ever audited,” said Dickson.